Spring follows winter and your kids can’t wait to get outside and enjoy the sunshine! When a new season comes along, it is a great time to find fun, learning resources to help change up your homeschool! On spring days when you have to stay inside, fun, spring themed printables are a great addition to your homeschool days! Your kids will have fun with this spring themed activity pack! 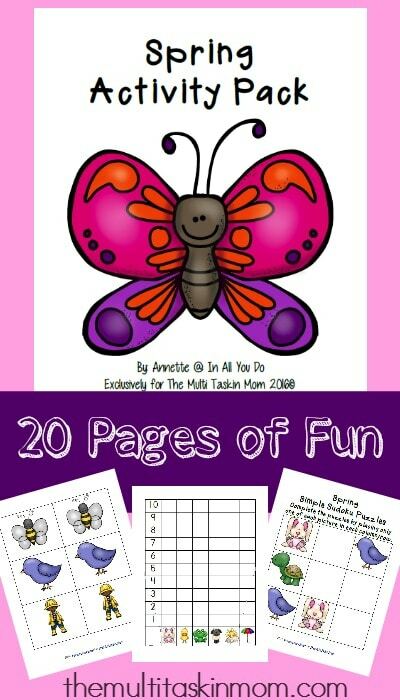 Stop by The Multi Taskin Mom to download your FREE Spring Activity pack today or you can pin it to print later here!